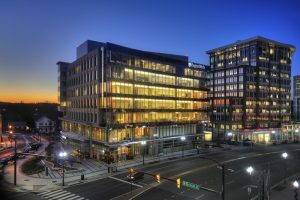 We at the Crowd Intelligence Lab are excited to be accepting applications for paid Summer 2019 internships at Virginia Tech’s Arlington, VA campus, funded by the National Science Foundation‘s Research Experiences for Undergraduates (REU) program. Interns will contribute to exciting research projects that develop their technical skills, independent thinking, and creativity, and provide excellent preparation for graduate studies or careers in research and development. Current projects focus on combining crowdsourcing with artificial intelligence to support investigations, verifying or debunking photos posted on social media, and identifying the names of people in historical photos. Each intern will be matched with an experienced mentor and a project team. He or she will also have the opportunity to interact with faculty and students from the Crowd Lab, the Discovery Analytics Center, and the Hume Center for National Security and Technology. Additionally, our location in the heart of the National Capital Region, future home of Amazon’s HQ2 and Virginia Tech’s $1 billion Innovation Campus and a few Metro stops to downtown Washington, DC, provides numerous opportunities for engaging with professionals in government, business, and non-profit sectors. Interns will also receive a generous stipend, funded by the National Science Foundation, to support their living expenses in the Washington, DC area. Internships will generally last 10 consecutive weeks between May and August, but there is some flexibility. The Crowd Intelligence Lab, directed by Dr. Kurt Luther, is an interdisciplinary research group at Virginia Tech. We conduct cutting-edge research on crowdsourcing, social computing, and human-AI interaction, with applications to national security, journalism, history, and beyond. Our recent awards include the 2018 Microsoft Cloud AI Research Challenge Grand Prize, the HCOMP 2018 Best Demo Award, and the HCOMP 2017 Notable Paper Award. Our work has been featured in media such as CNN, Time, The Atlantic, Slate, Fast Company, Smithsonian, and Harvard Business Review. The Crowd Lab has hosted over 30 undergraduate researchers in majors such as computer science, national security, visual communication design, anthropology, public relations, and history. These students have regularly won awards, co-authored top-tier research publications, and gone on to succeed in top computer science graduate programs (e.g., Virginia Tech, Carnegie Mellon, University of Illinois) and full-time employment (e.g., Amazon, Bloomberg, Google). To be eligible, students must be citizens or permanent residents of the United States or its possessions, and enrolled in an undergraduate degree program. These internships are well-suited for (though not exclusive to) applicants with interests in web development, visual/graphic design, and/or qualitative and quantitative data analysis. Domain knowledge in national security, journalism, history, and/or psychology/cognitive science is also a plus. We strongly encourage applications from students from underrepresented groups in computer science, students in majors outside of computer science, and students outside Virginia Tech. To apply, please complete our short online application. Applications are now being accepted and will be reviewed starting March 1 until the positions are filled. Feel free to contact Dr. Luther with questions.